Lea Ann: Maybe your DIL will have an epiphany like I did and let the elderly and pregnant have first crack at the bargains. Afterall, they really need a break. Mary: We have already established that you are my soul sister and our outlook on Black Friday is just one more example. My daughter that cooks would love that cookbook. She was looking for "Special" things to cook for Thanksgiving. You. Crack. Me. Up! I wholeheartedly agree--no Black Friday for me. I do like to partake in Cyber Monday, however. Carole Resnick: Sorry you're having trouble leaving a comment. I'll just count this message as your entry. I follow your blog with google friend connect and I'd so love to win this yummy giveaway! Like 'em on Facebook as Jennifer Maslowski. I would so so love to read this cookbook. 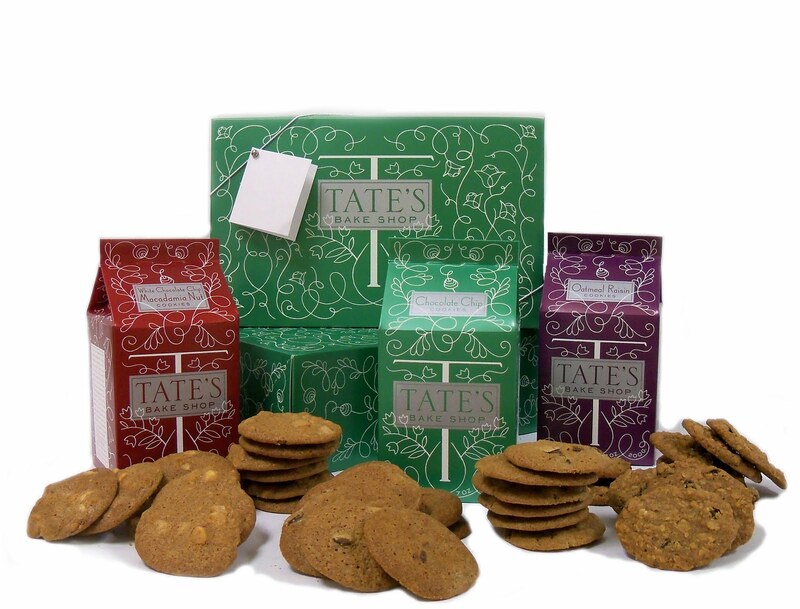 I have only heard wonderful things about Tate's having not yet experience their goodies. These look delicious. I would love to win! I love any kind of baking and cooking and my favorite is to bake tons of goodies for the Christmas holidays. I'm a follower of yours. The items in the prize basket look great. I love cookbooks especially. kristen702 at yahoo dot com. These cookies sound really yummy! I follow you on GFC(5webs) and the Oatmeal Raisin cookies look particularly yummy! Those cookies look so scrumptious! Crunchy cookies are my fave! I'm a GFC follower and REFUSE to have anything to do with Black Friday, ever, ever, ever!!!!! I did my Black Friday shopping online--I value my sleep and my sanity too much to deal with the crowds! These cookies look totally amazing, though, and I would love to try them! I follow via GFC (ellie) and I'd love to be entered for this. Yes! Sounds great to me. I love Tate's Bake Shop! Growing up on Long Island, it's long been one of our pit stops on the way to Montauk! What fun! I like to take up a big belief in fate when it comes to post-Christmas sales (I didn't realise you guys also had post Thanksgiving sales!). I figure that if whatever bargain I would like to buy is not still there to be bought by the time I eventually get down to the shops then it was just not meant to be. I can assure you this has absolutely nothing to do with laziness. It's all about fate. Yep. Awesome giveaway! I'm a follower :) I love Black Friday, I'm sorry to say. Funny story, sad that it's true! Would love to win some yumminess! Not a fan of Black Friday, but I am a fan of Tate's on Facebook. Please enter me in the drawing. I have also friended Tate on Facebook. I love Tate's cookies! Enter me. I'm already a Tate's liker on FB. Following ya! This all looks delicious! I love chocolate chip cookies and would love to taste these crispy little guys! PS - I'm not a believer in Black Friday either. Wait till after Christmas when everything is on sale. Oh my heck I totally agree 100 % with you about black friday seriously wtf!! I'm a follower and I empathize with you. A new cookbook would be fun. This sounds like a great cookbook, and the cookies look delicious.Black Friday shopping is to crazy for me. GFC follower (akagamma). I refused to get sucked into that Black Friday mess! That means I spend more but it's worth it! I totally agree with you on the black friday thing...and thanks for the laugh!! I am a follower. Happy December! 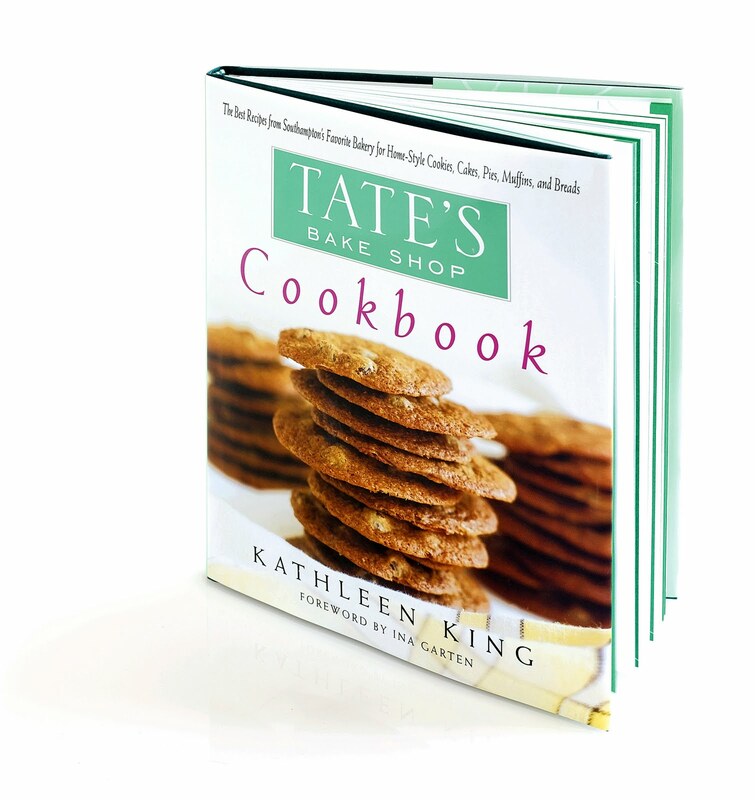 I am a fan of Tates bake shop on facebook under van hugcart. No black friday for me , I was to busy cleaning up after turkey thursday! GFC follower. I like Tate's Bakeshop on FB. pamela james. I would love to win---I love Christmas but I hate that it's gotten so out of control. I miss a simpler time. This all looks TOO good! I'm a follower and I am loving the picture of the blueberry buckle - I can almost taste it! I used to take my mother shopping on black Friday, but since she's died, I've skipped that whole scene. Can't say I miss it!! I think I get just as good offers later on. This would be an awesome treat for the holidays. The Blueberry Buckle looks so yummy. i am your newest gfc follower and tate's newest fb fan. I follow you via GFC as dwellenstein. I slept in on Black friday. I like Tate's Bake Shop on Facebook as Debbi Otto Wellenstein. Black Friday was a tough one this year. A new cookbook and treats sounds like the best thing in the world right now. Black Friday is just out of control. When I was young, I'd go shopping with my parents on that day at 7:00 in the morning and Target was giving out free gift bags with samples. The store was so empty that they were handing out the gift bags two at a time! Follower, I would love to win this, thanks for the chance! Your story was fun-I kind of decided to skip the whole Black Friday and CyberMonday thing....I am kind of a last minute person!